Osaki-shimo Island, is part of Hiroshima Prefecture, Japan, is a small island on the Seto Inland Sea with an area of 17.82 km2. In the Ocho area, citrus cultivation has been the major industry, forming a citrus cluster. 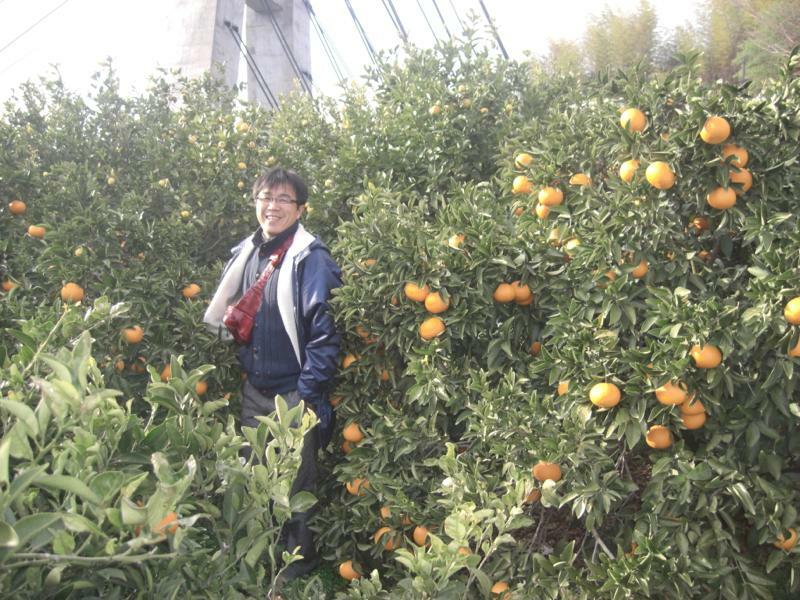 The topographical features and warm climate with a small amount of precipitation are suitable for citrus cultivation. 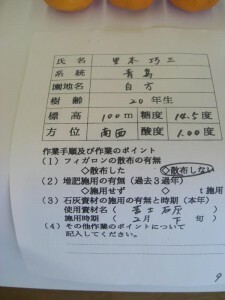 Even if it rains a lot in the area, the slant of the mountains helps drain rainwater. This prevents the citrus fruit from becoming watery, and makes it possible to produce many kinds of tasty citrus fruit. 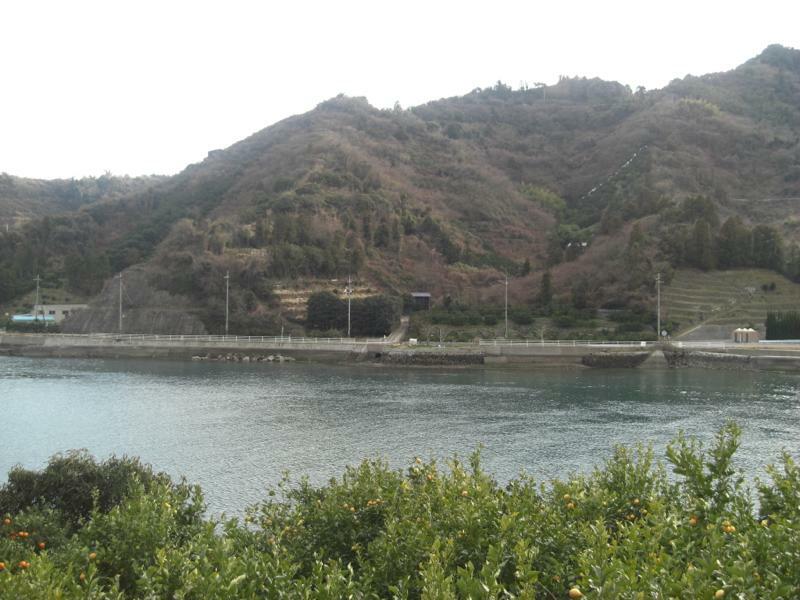 In the Ocho area, the mountains are terraced with citrus trees, which creates beautiful scenery. In February, a local festival is held in order to promote the local industry and culture, in collaboration among several major local organizations, such as the local government, the chamber of commerce and industry, the extension center, and some agricultural producers’ organizations. 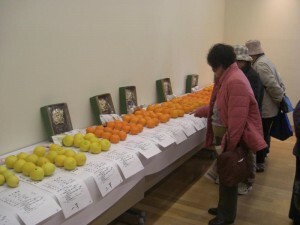 In the festival, the citrus farmers’ association holds a citrus exhibition, and varieties (about 10 varieties) of citrus are exhibited at the venue. 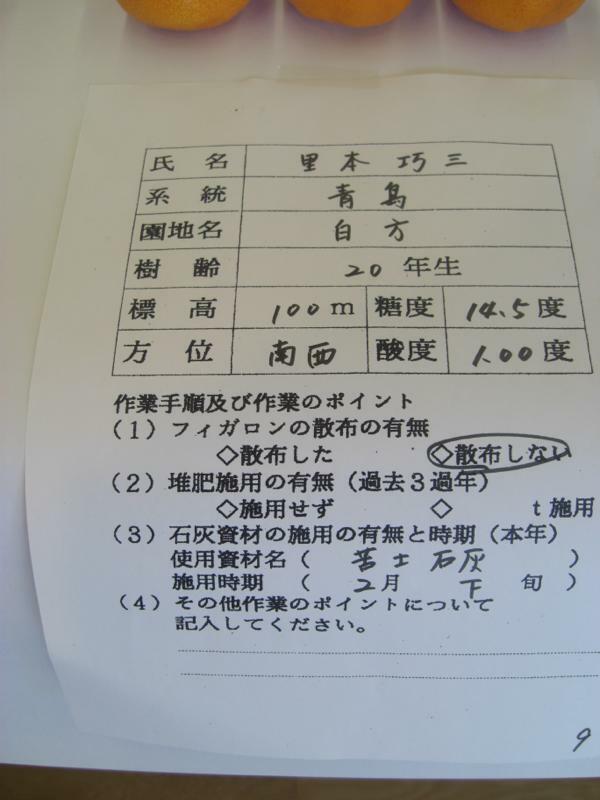 Each producer puts on the table eight pieces of a citrus variety that they produced, with a sheet of paper filled out with information about his or her cultivation method and the quality of the citrus. 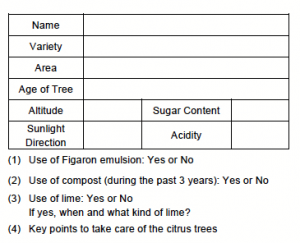 The information includes the name of the variety, the age of the trees, its sugar content and acidity, and whether or not the producer used Figaron emulsion, compost, and lime. 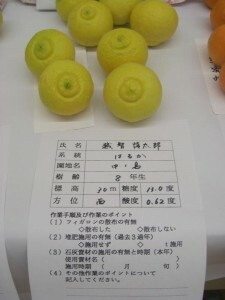 The citrus fruits that are exhibited are all nice without any damage on the surface which might have been caused by insects or diseases. 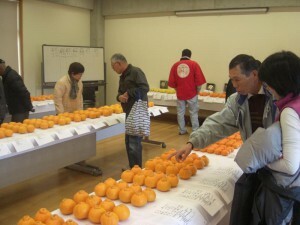 Not only the appearance but also the taste is important for consumers. The balance between the sugar content and the acidity of the citrus determines the taste. In the Ocho area, the regional brand has already been well established, and the name of “Ocho Citrus” is known nationwide. 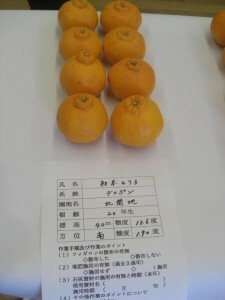 The extension worker stationed in Ocho says that a large quantity and high quality are the essential factors in order to sustain the good reputation about the Ocho citrus brand. 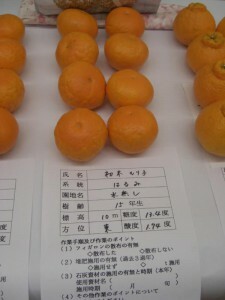 He emphasizes that the extension center needs to work hard so that the number of citrus farmers does not decrease. In that sense, the exhibition is a very good opportunity for local people to have more pride in the citrus that they produce, and understand it is the symbol of Ocho. This will encourage them to make stronger efforts together to maintain the regional brand. If visitors to the exhibition want to learn in more detail how to produce such beautiful and tasty products, they can contact the producer(s). 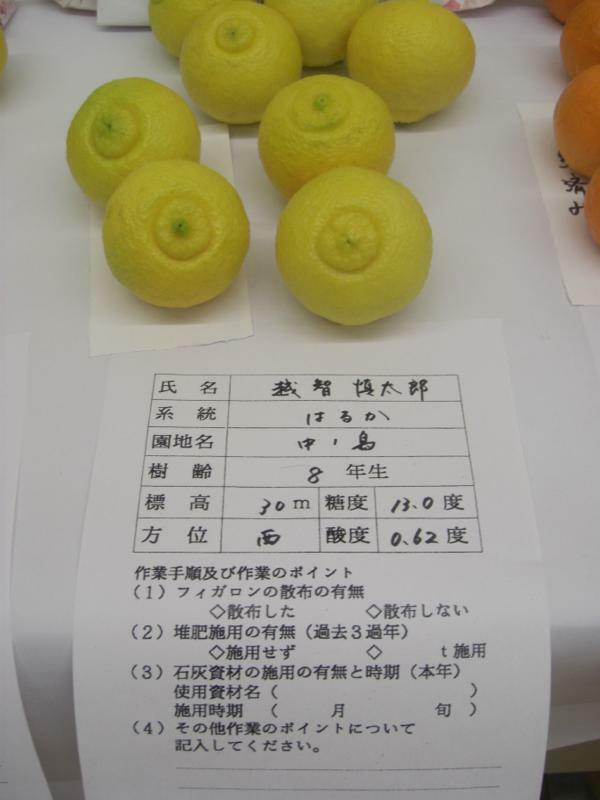 Thus, the exhibition also plays a role of “stimulant” for citrus farmers, and provides an opportunity to learn from each other.